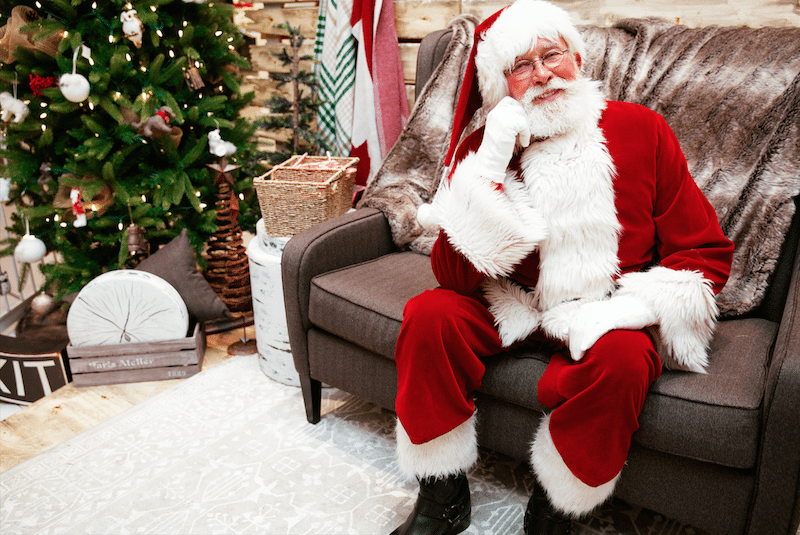 Vancouver Mom > Holiday > Vancouver’s Top Santas! We asked around, we consulted some experts, and we tallied the results. Here are eight of the best, most authentic, and most awesomely warm and friendly St. Nick’s this side of the Cascades. We’re talking elves, professional photos, pet days, and more. Remember to check your chosen location for the exact times Santa is available. And pro tip: Go early. The man in red gets busy during the hols especially as Christmas gets closer. Best Santas in Metro Vancouver! Santa sits at the centre of SantaLand at Metropolis at Metrotown, complete with digital game consoles, and a 70-foot column of dancing lights. The unique things with Metrotown is that the photos are by donation (minimum of $3), with all proceeds going to the Burnaby Christmas Bureau. Plus once you sign up, they will text you when it’s your turn for a picture. Pro tip: Plan to visit Santa early in the day, before the line ups start. 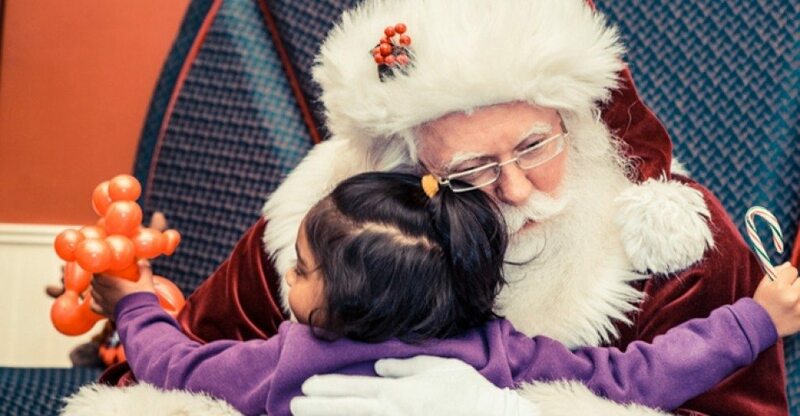 Photo credit: Kelly Duran at Richmond Centre before Santa moved to Coquitlam. This Santa with authentic beard and known as “the real Santa” just moved from Richmond Centre to Coquitlam Centre causing an uproar among his super fans! So devotees will have to experience the new Santa as Richmond Centre or road trip head over to Coquitlam. 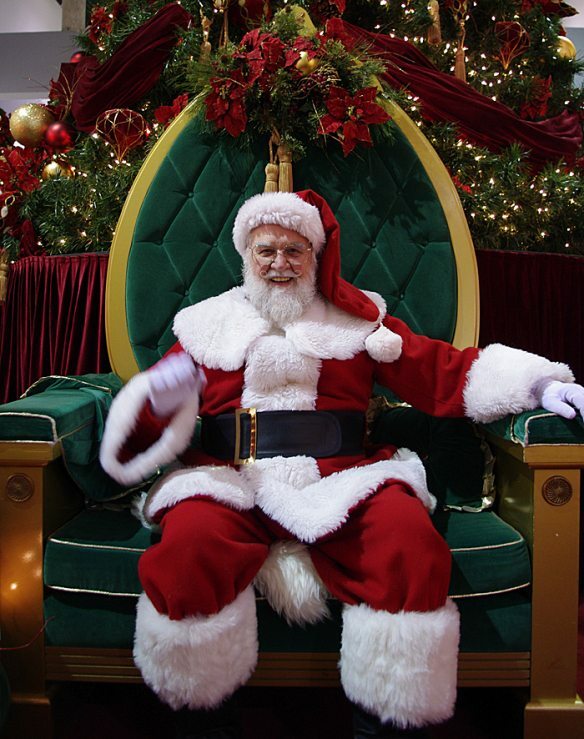 Pro tip: Santa gets really busy the week before he makes his deliveries, so try to visit before December 16th. Check out our Top 100 Holiday activities list! The Santa at Oakridge Mall consistently comes up as one of Vancouver’s Favourite Santas with legions of repeat visitors. They also have Paws with Claws and special quiet days with Santa for kids who find the whole Santa experience overwhelming. Use Santa’s Fast Pass system to avoid long lineups. 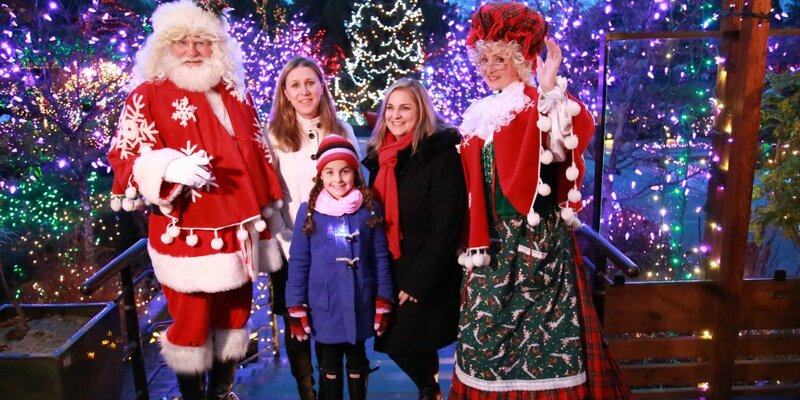 Check out VanDusen Festival of Lights, a winter wonderland with over one million lights decorating the beautiful botanical gardens, then stop in to get photos with their old-fashioned realistic Santa, Mrs. Claus, and his elves. Santa will be indoors, next to Shaughnessy Restaurant. Park Royal Santa’s is loving his new home in Park Royal South’s west wing, near Simons. If you are looking to beat the rush, use the Park Royal online reservation and photo pre-order system. They even have pet photo days! This beloved and authentic Santa has been at the Kids Market for about 25 years. He’s gentle, he sings, plays music, tells stories and apparently he can play chess too! He passes out music-makers bells, rattles, blocks and encourages the children to participate as he leads carols, then quiets them for a Christmas story (no lap-sitting). Daily from 11 am-3:30 pm. Get your shopping done here too with over 25 shops just for kids. Gift wrapping by donation starts mid-December. 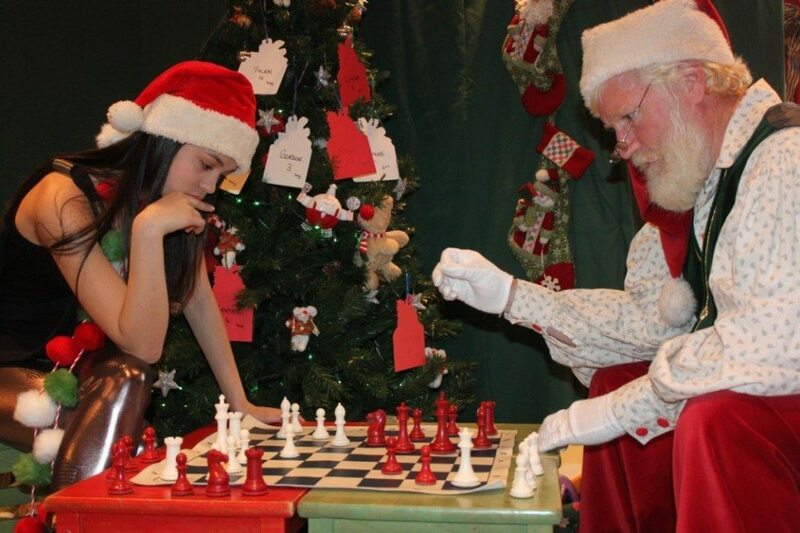 Great little mall Santa’s Grotto, short line-ups, and kids can blow off steam at the toddler play area afterwards. Also, on Saturdays leading up to Christmas, they have a live DJ, holiday stilt walkers, silk aerialists, tumbling elves show, juggling acts, cotton candy artists, caricature artists, and more! Pro tip: Visit on weekdays, they are not as busy as weekends. Previous Post Ten holiday craft fairs in Vancouver you'll want to check out! There was a Santa at Brentwood Mall for years but he moved to a new mall about 4 years ago. I can’t remember where he went though. Maybe Guildford Mall in Surrey? I can’t say I agree with the Santa at Metrotown. We’ve gone to him a few times and he is not very friendly. Kids are constantly crying because you don’t get a warm feeling from him at all. He rarely smiles and hardly says anything. The ice castle look they changed to doesn’t help. Their old Christmas set was much nicer. Brentwood does have a Santa. They have a full schedule. Interesting feedback on the Metrotown Santa, but people do seem to like him. I’d be interested in hearing more feedback. I agree about the Metrotown Santa. He doesn’t compare to the Richmond Centre Santa. I suspect the only reason why the Metrotown one is popular is that it is a minimum $3 donation per image. We have been going to the Richmond Centre for the last 2 years and Santa and his elves, including the photographer, were awesome and patient. Unfortunately, we were just there tonight and the staff told me he has retired 🙁 So it is a different Santa. Sadly, they have also changed the photographer who was very impatient and remarked that my kids couldn’t smile properly. Seriously? If you’re a good photographer, you should be trying to get them to smile, not rush us so that you can go through the line and make more $. We’re not going back there ever again. Ten holiday craft fairs in Vancouver you'll want to check out!